The New Britain Senior Center has an excellent art and crafts program which is divided into an art section, ceramics section, and crafts section. In the arts section, which is headed by George Nowak, seniors can sign up for classes on painting and drawing. Seniors enjoy these classes because not only are they experimenting with their talents, but also because it is a nice hobby that keeps them busy. 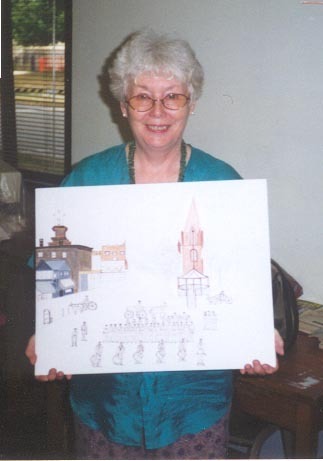 The art program at the Senior center is really exciting. The Art teacher, Mr. Nowak, teaches with instruction and demonstration. The class uses Acrylics paint. The benefits of this kind of paint are no fumes, it dries quick, and It is put on with brushes. The classes are held in the fall, on Wednesday and Fridays from 9-11:30. The art class will store your painting at the senior center while you work on it. You can work at your own pace, and when you finish your painting, it will be displayed for everyone to see and admire. Even if you have never painted before, you can still be proud of the wonderful painting you will do in the class. It is only ten dollars for paint and supplies. Come down, and be creative soon. 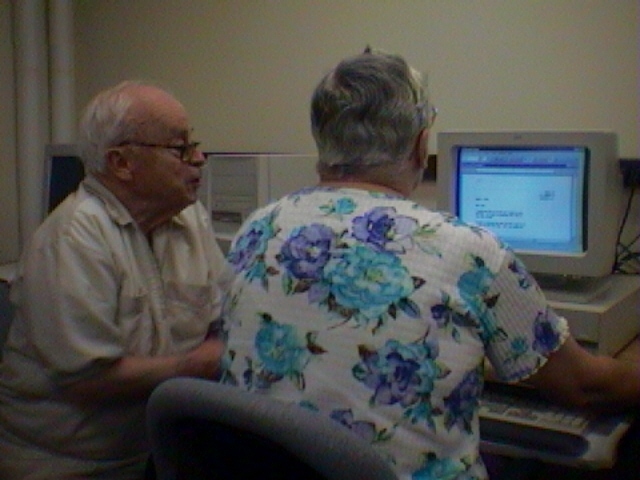 The NBSC belongs to "Senior Net", a program which tries to familiarize seniors with computers and what can be done with them. The New Britain Senior Center has its own computer room with many computers for use during the centers own computer classes. The classes offered here teach seniors how to use some basic programs such as Microsoft Works, where seniors brush up on their typing, and Excel, a database like programs where seniors can make spreadsheets. If you sound like your interested in what the center has to offer, then be on the look out for sign-ups, because the classes fill quickly! 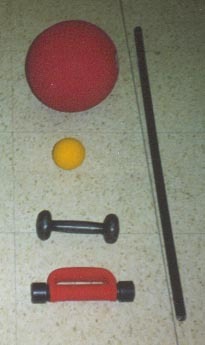 The New Britain Senior Centers exercise program is directed by Chrisy Kuzia. Every Tuesday, Seniors can participate in "Fun with Fitness", a program in which they can lift weights, do floor exercise, etc. Classes are twice a week, on Monday and Tuesday, for a 1/2 an hour. Seniors can learn steps to songs like the Boot Scoot Boogie, the Electric Slide, and the Macarena. They also have the opportunity to learn tap and line dancing. 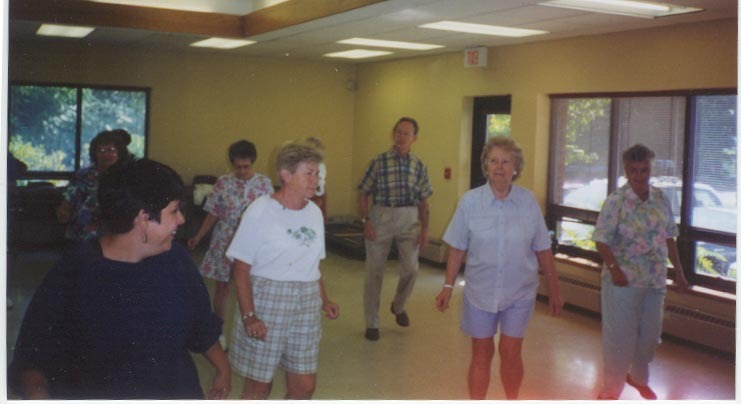 Another major activity at the Senior Center is line dance performances. Seniors take what theyve learned from the dance classes and take it to convalescent homes, (St. Lucians), St. Jeans Womens Auxiliary Club, as well as the YWCA and Main Street USA.